It’s hard to imagine anyone might buy this book unware of its tragic backstory, but it’s worth pointing out to the reader here that this collection, the literary remains of Rebecca McManus, is a posthumous collection pieced together lovingly by her family and friends. McManus was struck and killed by a speeding driver back in 2014 while she was waiting at a bus stop. She was 21 at the time and was soon to graduate from the University of East Anglia with a degree in English Literature and Creative Writing. When I first picked up this collection, I tried to think back to what I was doing when I was 21. I was a Literature student too, and involved in many of the things McManus’s poetry explores – travelling and enjoying a busy and sometimes boozy social life that often lead to some sort of drama: ‘Went to Wetherspoons / to spend twenty quid on an argument’ (from ‘St Patrick’s Day’). But at 21 I was far from getting my act together as far as poetry was concerned – I doubt I’d published any poetry at all and much of what I did write was drivel. This highlights one of the difficulties for the reviewer with a memorial collection such as this. It’s very tempting to praise the poet’s precocity, marvel at their sense of drive and identity while still so young, but this is surely a patronising note to strike – everyone develops at a different rate. 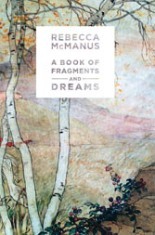 But it’s unusual to come across this situation in poetry, as even poets who did die suddenly and not of their own choosing (such as John Riley or Ian Abbot) still managed to sample a decade or two of adulthood that McManus has been denied. I have nothing to write about except food and silence. And most painfully the closing lines to ‘The May Bug’: ‘I too walk by the cars to prove I’m alive / and they miss me every time’. “People are like waxing crescents. That we did no harm, but did no good. despite being faithful to others. you’ve denied some ruthless facts. I’ve already said that McManus’s poetry is very self-aware and deeply thought but here she is a little mistaken. She has written some fragments, but she’s also written many poems as well – there’s a book of nearly 200 pages to testify to that and to the worth of her existence. All the things she wished she could do here, she achieves in her poetry as well as facing the ‘ruthless facts’ in the face of idealism, at all times trying to affirm the positive. We’d be doing her work a great disservice to approach it in a purely elegiac light.